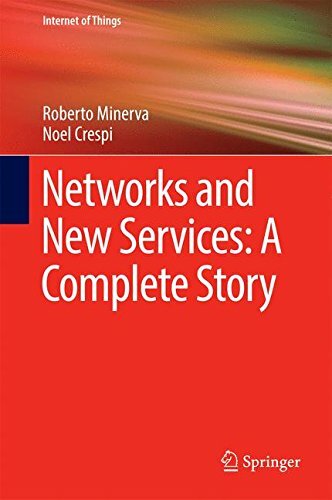 This book shines a spotlight on software-centric networks and their emerging service environments. The authors examine the road ahead for connectivity, for both humans and 'things', considering the rapid changes that have shaken the industry. The book analyses major catalytic shifts that are shaping the communications world: softwarization, virtualization, and cloud computing. It guides the reader through a maze of possible architectural choices, driven by discriminating and sometimes conflicting business considerations. The new ICT capabilities lead us toward smarter environments and to an ecosystem where applications are backed up by shared networking facilities, instead of networks that support their own applications. Growing user awareness is a key driver towards the softwarization process. Softwarization disrupts the current status quo for equipment, development, networks, operations and business. It changes radically the value chain and the involved stakeholders. The dilemma is between a 'slow burn' traditional step-by-step approach and a bold transformation of the whole infrastructure and business models. This book is essential reading for those seeking to build user-centric communication networks that support independent agile and smart applications.